Five NHS hospital trusts in the south of England have been designated as major trauma centres to treat the most severely injured patients. The trusts, in Plymouth, north Bristol, Oxford, Southampton and Brighton will have consultants available 24 hours a day, seven days a week. The new system is for patients with complex or multiple injuries. Patients will be taken to one of the centres if it is in within a 45-minute ambulance drive. If it is not possible to get to a major trauma centre in that time, or if a patient need to be stabilised quickly, they will be taken to the nearest hospital with a local trauma unit for immediate treatment. 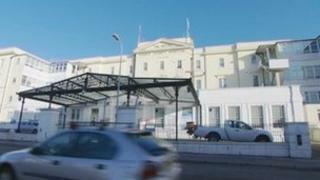 The hospitals involved are Derriford in Plymouth, Frenchay and Southmead in Bristol, John Radcliffe in Oxford, Southampton General and the Royal Sussex County Hospital in Brighton. The new major trauma centres are part of an England-wide network of 22 currently being set up. The first four hospitals were designated in London two years ago. Two of them, St George's in Tooting and King's College in Denmark Hill, are the major trauma centres for patients in Surrey, Kent and Medway. A report by the National Audit Office in 2010 suggested the centres could save an extra 450 to 600 lives in England every year. "Trauma patients will have better access to highly-skilled and experienced trauma clinicians and the most advanced treatments in the world," said Dr James Mapstone, clinical director of acute care for NHS South of England. "A huge amount of work has gone into developing this new model of care. "All the ambulance services in the south have carried out enhanced training of their staff so they can take major trauma patients straight to the nearest major trauma centre. "I am confident that having the highest level of expertise, experience and equipment in one place will help us save more lives."